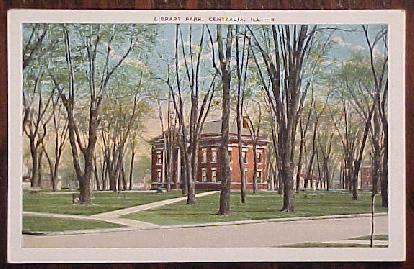 Marion County ILGenWeb is a free genealogical site about the history of the county. We hope you find helpful clues for your research of ancestors and relatives of Marion county. Corrections, updates, and additions to this site will be appreciated. Please consider contributing your pieces of Marion county family history. YOUR HELP IS NEEDED. Our combined efforts can make this a great site for all who visit! Co-Coordinator: YOU? Marion ILGenWeb needs a local co-coordinator to provide more helpful responses to queries. Are you familiar with the area? Do you have a family tree connection to the county? Are you experienced at researching in Marion County? If your answer to any one of these questions is "Yes," please volunteer to be a Co-Coordinator. Marion County was created 24 Jan 1823. The original boundries were carved from Fayette and Jefferson counties. 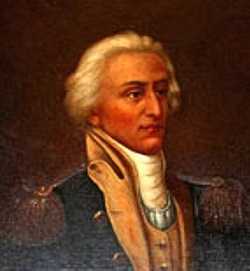 Marion county was named in honor of Francis Marion. "The bill creating Marion county was introduced by Zadoc Casey, Representative from Jefferson, who was instrumental in having it named after his father's revered and beloved commander of the Revolution, under whom he had served in the Carolinas." Brinkerhoff's History of Marion County, page 39. The general of the Revolutionary War for whom this country was named, was born in 1732 at Winyah, near Georgetown, South Carolina, of Huguenot ancestry. In 1761 he served in a campaign against the Cherokees. In 1773 he acquired Pond Bluff Plantation on the Santee River, where he established himself as a planter. He was elected to the South Carolina Provincial Congress of 1775. When that body provided for two regiments of troops, he was made a captain in the Second Regiment. Marion took an active part in the defense of Ft. Moultrie in Charleston harbor (1776). As a lieutenant-colonel in the continental service, he commanded the 2nd Regiment during the British assault on Savannah (1779). In 1780 the British captured Charleston and overran South Carolina. Made a brigadier general by Governor John Rutledge, Marion showed his genius in organizing a band of guerrilla volunteers; he gained recruits and trained them to be fearless raiders and good marksmen, and "Marion's brigade" became known far and wide for its successful exploits against the British. From 1782 to 1790 Marion served in the South Carolina State Senate where he opposed harsh treatment of the Tories. He was made commander of Ft. Johnson with a salary of 500 pounds per year, in recognition of his services. He died on his estate in Berkeley County on February 27, 1795. As a soldier he was quick, resourceful; and calm, a great partisan leader. Marion ILGenWeb is hosted by Genealogy Village.